A growing number of travelers are choosing tranquil, intimate, historic canal barges over big boat river cruising. Wondering where to begin? We sat down with Stephanie Sack, a barge cruise expert, for her tips on how to find the right one for you. Compared to urban vacations, which can rush through countries at the pace of an Instagram scroll, a European canal cruise is the definition of slow travel. The historic barges keep to a leisurely pace of four miles an hour, following man-made canals dug for transporting everything from wine casks to royal entourages. With just a handful of cabins, most boats offer many of the luxury perks of a boutique hotel and become a moving home base for a week of exploring some of the continent’s most unspoiled landscapes. It’s no wonder barge trips are starting to become a popular alternative to river cruises. But with dozens of options in areas as different as the Scottish Highlands and the Loire Valley, choosing your first canal cruise can be bewildering. Enter Chicago-based Stephanie Sack, a self-described “barge cruise matchmaker,” who found her calling pairing would-be cruisers with the right canal, captain, and crew through Barge Lady Cruises, a company founded by Sack’s mother in 1985. 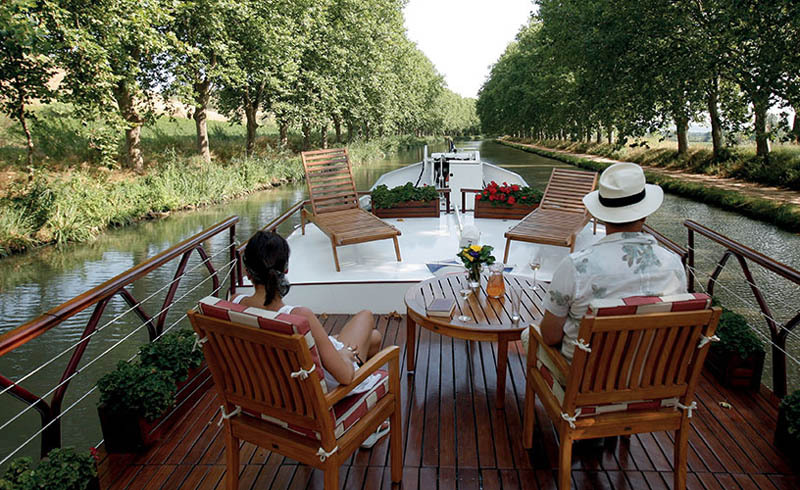 Most barge cruises, like this one on the Canal du Midi in France, take place aboard converted historic vessels, but the boats still have many of the same amenities as a boutique hotel. Since many barges work the same short stretch of canal season after season, shore excursions are enriched by close relationships with local people and a deep knowledge of the landscape. Back on board, high crew-to-guest ratios translate to extremely personal service and often casual conversations about life beyond the canal. “All barge cruises have a dedicated crew,” says Sack, “and people love that they get the chance to hang out, talk to them, learn about their culture.” Sound perfect for you? Read on. Before you start comparing boats and booking companies, you’ll need to decide on a region to cruise. 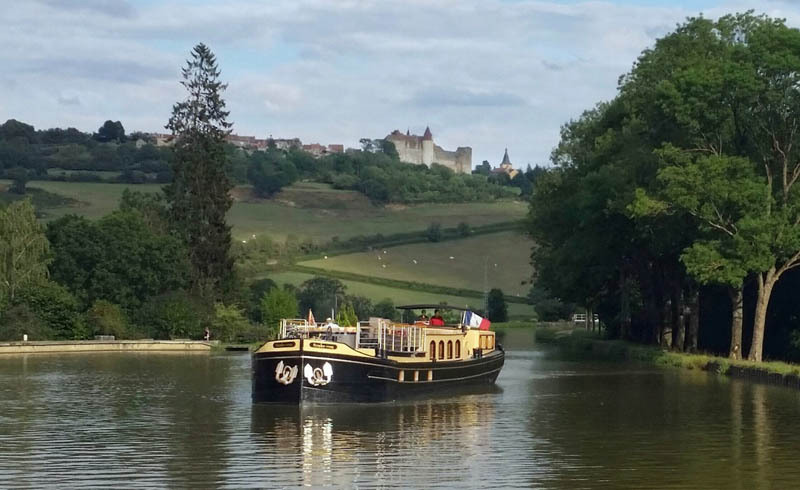 The most popular and long-standing destination for barge cruises is France, where canals wind among towering chateaux, vineyards, and rural landscapes throughout the country. It’s a favorite for a reason. If wine is what makes packing your bags worthwhile, Sack says that France has the oenophile dream on lock—a cruise past southern Burgundy’s UNESCO-listed vineyards is her top recommendation for a week of wine tasting. World-class cycling and deep history are other draws in France. 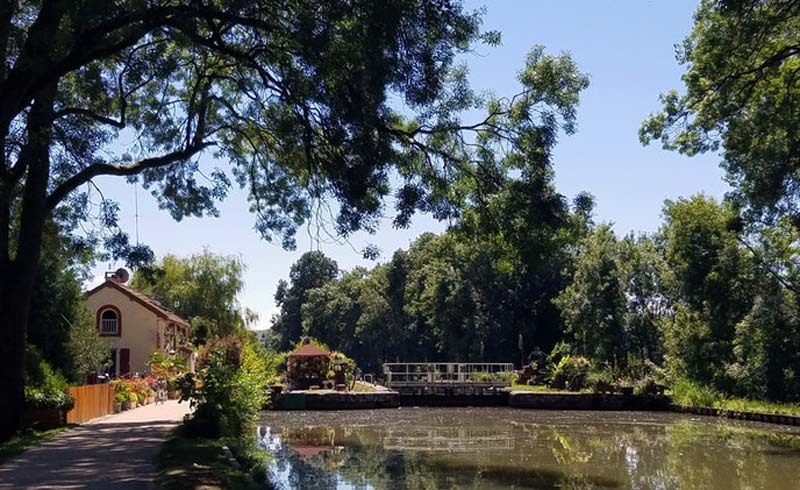 She sends avid cyclists to the Upper Loire, where hundreds of miles of bike trails wrap around canals just an afternoon’s drive from Paris; you can spend the day on two wheels, then meet up with the barge in time for dinner. For travelers who spend their transatlantic flights buried in history books, she recommends the 17th-century Canal du Midi in southern France, a UNESCO World Heritage site and a jumping-off place for visiting medieval castles and villages in the wine region of Languedoc-Roussillon. While a relatively unknown cruising destination now, the Caledonian Canal in Scotland is fast gaining popularity. But if you’re looking for a more up-and-coming destination—one that will give you bragging rights when it blows up in 10 years—there are plenty to choose from. 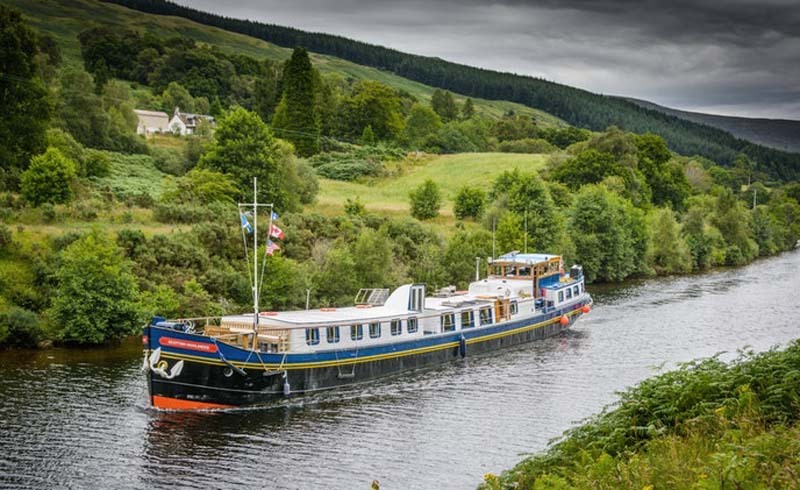 Tracing a fault line that splits the region in two, Scotland’s Caledonian Canal passes whiskey distilleries and the bald dome of Ben Nevis, but it’s still barely known in the barge-cruising world. Another offbeat choice, the River Po and Canal Bianco link Venice and Mantua on a route that’s lined with vineyards and Renaissance palaces, so Sack recommends an Italian barge for a week of powerful sunshine quenched by equally powerful reds. Wherever you choose, you’ll spend much of your time deep in rural landscapes a world away from Europe’s busy tourist trails. Canals might once have been Europe’s highways, but the golden era of barge transport has long since passed, leaving quiet the waterways and their surrounding vineyards, forests, and far-flung villages. With your destination settled, it’s time to decide whether to book a cabin or the entire boat; if you can convince a few friends to join you, a private cruise is the same price as a single room (around 70 percent of Sack’s customers choose to reserve their own boat). Built for shipping goods, not people, the canals of Europe are narrow, forcing barges to maintain a slow and relaxing pace. When selecting the barge itself, Sack says that most offer a similar level of service, including a top-tier chef and tour guides with deep local knowledge. They diverge in cabin size and amenities: a weeklong cruise in a barge with 100-square-foot cabins starts at $4,000 per person, while $7,500 will get you king-sized beds, bigger rooms, and onboard hot tubs. Although barge cruising will never be a budget option, there are deals to be found, especially for travelers with flexible schedules. May through September are the most sought-after months, and prices can drop on the margins of the season. Sack recommends spending April exploring the canals of southern France, where rolling hills are padded with a brief explosion of wildflowers; or head to north Burgundy in October to partake in the celebratory daze that follows the grape harvest. Another option for budget-conscious cruisers, says Sack, is a boat with half-board. Because the crew won’t prepare every single meal, you’ll save on the booking and enjoy a little more freedom—whether you use it for canal-side picnics or Michelin-starred restaurants is between you and your wallet. Once the highways of Europe, the canals carved through such countries as France, Belgium, and the United Kingdom are now a way to explore their peaceful, less-traveled areas. Barge Lady Cruises represents 50 owner-operated barge cruises in eight countries—France, Italy, Germany, Holland, Belgium, Ireland, England, and Scotland. Based in the United Kingdom, European Waterways has a private fleet of eight vessels and can organize bookings for nine additional owner-operated barges. 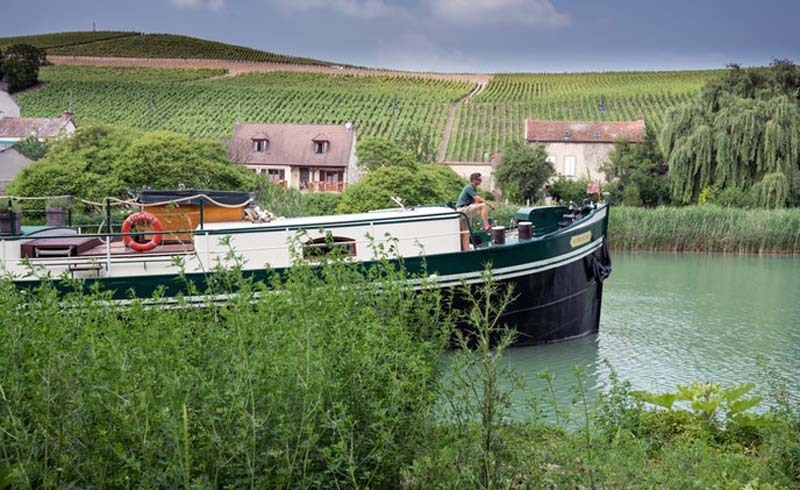 While most barge cruises are aboard converted historic vessels, the river cruising company CroisiEurope now has a fleet of five purpose-built barge cruise boats. Long a name in luxury hotels and train travel, Belmond has a fleet of seven barges for four to eight passengers that are available exclusively for private bookings. The travel agency Abercrombie & Kent has also joined the barge game, with 34 boats available for private bookings and shared cruises. Booking a European barge cruise might take some planning, but that investment pays off with a vacation that’s blissfully free of hotel reservations and train schedules. By the time you’re floating through Europe with wine glass in hand—swap in a bike helmet or history book as required—you’ll have no more reviews left to read, no tables to book, and no plans to make. 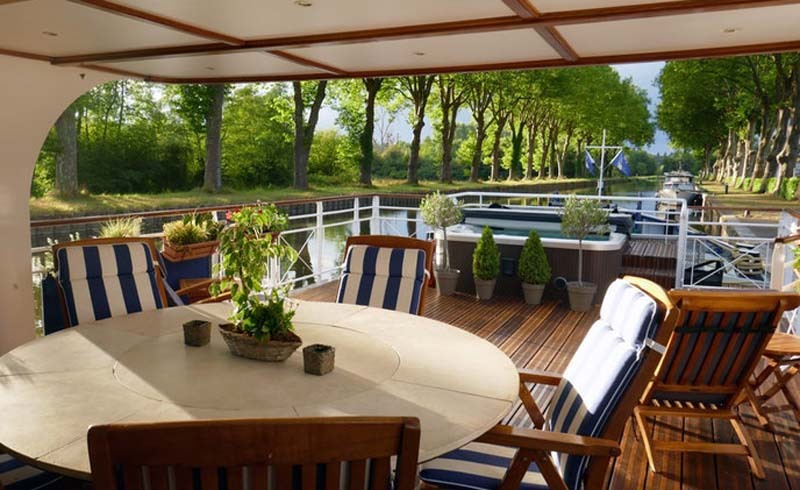 All you’ll need to do is slow down to the stately pace of barge life.